Field experiment was conducted in Al-Yosfia region at 2016-2017 in loamy soil to investigate the effect of three levels of saline water (River water, drainage water 4.3 dS.m-1, and drainage water 7.2 dS.m-1) and three types of analytical organic fertilizer (Poultry waste ,cow waste, and Ground corn cobs) with 12 ton.h-1 and their interaction on some growth and yield parameters of Barley Al-Warkaa Var., the experiment at RCBD with three replicates using LSD test at 5% to compare between parameter means. The results showed that when using saline irrigation water, the values of growth and yield parameter decrease while organic waste reduces the negative effect of saline irrigation water, the poultry waste gave the significant increase of parameter values followed by cow waste then ground corn cobs. The interaction between (Poultry waste and river water) gave higher means to plant height, vegetative dry matter, leaf area, chlorophyll content, No. of spike.m-2 , No. of seeds per spike, the weight of 1000 seeds, total seeds yield, biological yield, and harvesting index. The value was 98.4 cm , 17.4 g, 27.4 cm2 , 51.2 spads, 332.6 spikes.m2 , 38.2 seed per spike, 38.2 g , 4.853 ton.h-1, 15.423 ton.h-1 , and 31.47% respectively. 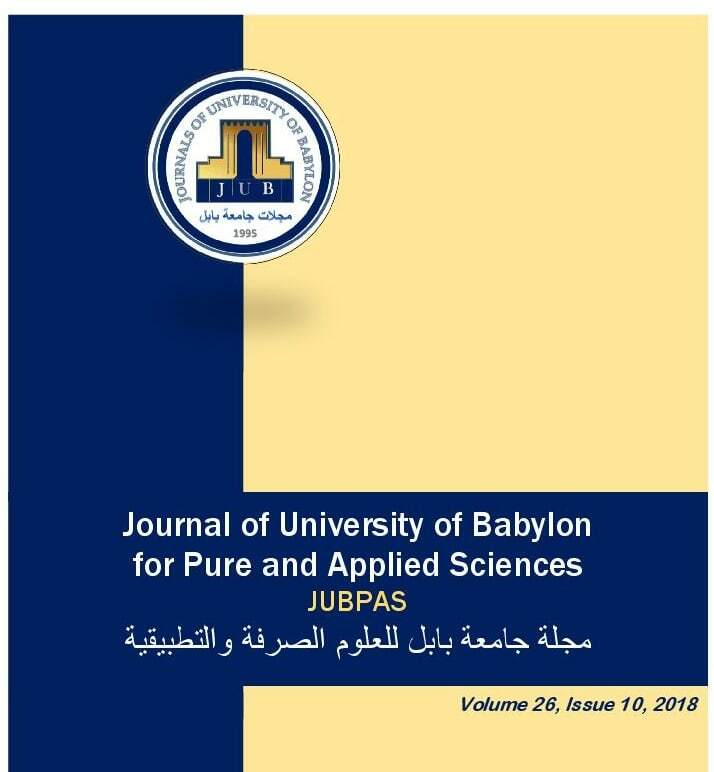 S. Asi, M. Abo – Almeekh, and H. Abd – Al Ameer, “Effect of Saline Irrigation Water and Organic Waste Quality on Some Growth and Yield Parameters of Barley”, JUBPAS, vol. 26, no. 10, pp. 27 - 35, Dec. 2018.